Shown is Chris Gardner with Rev. Frederick Haynes and Carlotta Lanier in the inset. The impact that Martin Luther King, Jr. had on America was profound. And every year we celebrate his legacy and the spirit of justice, service and equality on the third Monday of January which is around King’s birthday, January 15th. The Cummer Muesem and Gardens recently announced it will hold a special Martin Luther King, Jr. Day event on Monday, January 21st. The event features art engagement and special commemorations from 12 to 6 p.m. with free admission for all. Special programs include art-making activities, live music, and trolley transportation between the Cummer and the Ritz Theatre and Museum (12 to 5 p.m.). An Ecumenical Prayer for Peace organized by OneJax will be held at 3 p.m. in the gardens. Visitors will also be asked to help create a special collaborative “Art Peace” to be shown in the Cummer. Participants will use watercolor resist and paper folding techniques to create quilt squares and paper chains with messages of peace and unity. Visitor artwork will be combined to create a larger display. 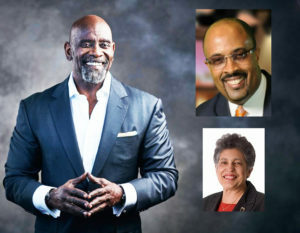 Carlotta Walls LaNier, civil rights icon and National Women’s Hall of Fame inductee, will present “A Mighty Long Way: My Journey to Justice at Little Rock Central High School” at the University of North Florida’s 38th Annual Dr. Martin Luther King Jr. Scholarship Luncheon, Wednesday, Feb. 6, at the Adam W. Herbert University Center, Building 43, Grand Banquet Hall, Room 1044. Doors will open at 11:30 a.m.; the program begins at noon and will be followed by a book signing. As the youngest member of the group of African-American students, the “Little Rock Nine,” LaNier helped to integrated Arkansas’ Central High School in 1957 following the U.S. Supreme Court ruling on segregation in Brown vs. Board of Education. For tickets call (904) 620-2878. The City of Jacksonville invites the community to the 32nd Annual Martin Luther King, Jr. Breakfast on Friday, Jan. 18, 2019 at the Prime Osborn Convention Center. The doors will open at 7 a.m. and the program starts at 8 a.m. 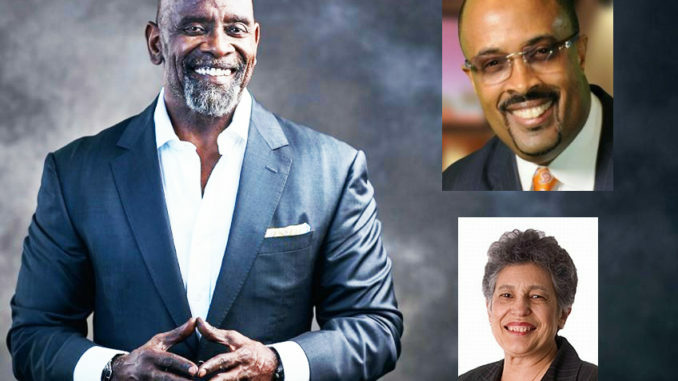 Guest speaker is author and entrepreneur Chris Gardner, whose autobiography, “The Pursuit of Happyness,” became a New York Times #1 best-seller and was the inspiration for the movie “The Pursuit of Happyness,” starring Oscar-nominated actor Will Smith. The Baptist Minister’s Conference of Duval and adjacent counties will host the 20th Annual “Dr. Martin Luther King, Jr. Prayer Breakfast. The event is scheduled for Saturday, January 19th at 8 a.m. at the Hyatt Regency Riverfront The guest speaker will be Cong. Emmanuel Cleaver, II. Monday, January 21st at 10 a.m. participate in the Martin Luther King parade and post celebration at the Ritz Museum, 829 N. Davis St. The entire city is invited to participate and honor MLK for his life, history and legacy. For more info visit www.mlkfdnorg.com.